and because I just needed a bit of a break. But, I'm back this week, and I DO have things to update! The first week of September I only finished one book, but it was a really good one! 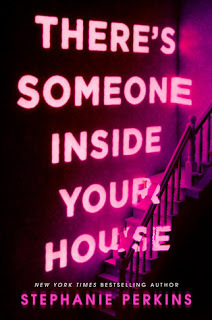 There's Someone Inside Your House by Stephanie Perkins was a really creepy read, and will make a great addition to your Halloween TBR. I'll be sharing my thoughts for the book on the blog soon! 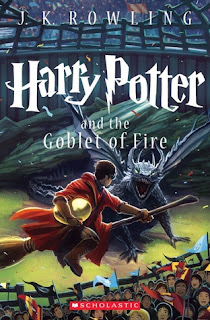 I also finished my re-read of Harry Potter and the Goblet of Fire, AND I actually made it through the end of the book without bawling like a baby, (as I did last year when I first read it,) but... barely. Gah, that ending really gets me. I'm super excited to start Order of the Phoenix next month!! 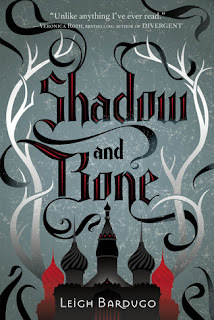 I also finished Shadow and Bone by Leigh Bardugo earlier this week, which was the September #AlltheBooksReadalong pick for this month, and I enjoyed the book SO much. I originally read the book way back when it was first released, but couldn't remember anything about it. Now that I've reread it, I'm DYING to start Siege and Storm, the next book in the series. I'm hoping to work it on to my TBR for next month!! 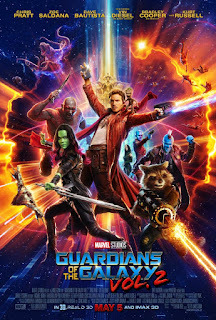 I'm hoping to have time this coming week to get caught up on some of the TV Shows that I wanted to watch last year, but didn't stay caught up on, since Fall TV is right around the corner! I spent some time earlier this week drafting out my TBR's for the rest of the year, and I'm SO excited to get started on them! I have two separate Fall TBR's, one for upcoming releases I want to read, and another for books that I just *really* want to read already. :) I also have a possibly Halloween TBR, though I'm not sure if I will have time for it or not, and I'm working on my Winter TBR as well! There are SO many books that I just really want to read already, and I'm finally making the time to do it. Let's hoping I can keep up!! I love that Harry Potter cover! 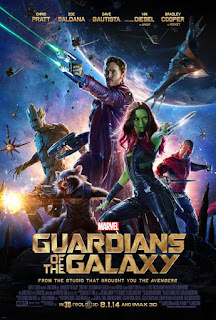 Haven't seen it yet :) Looks cool.